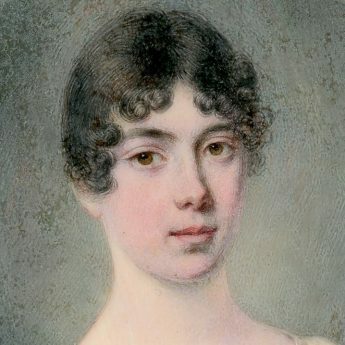 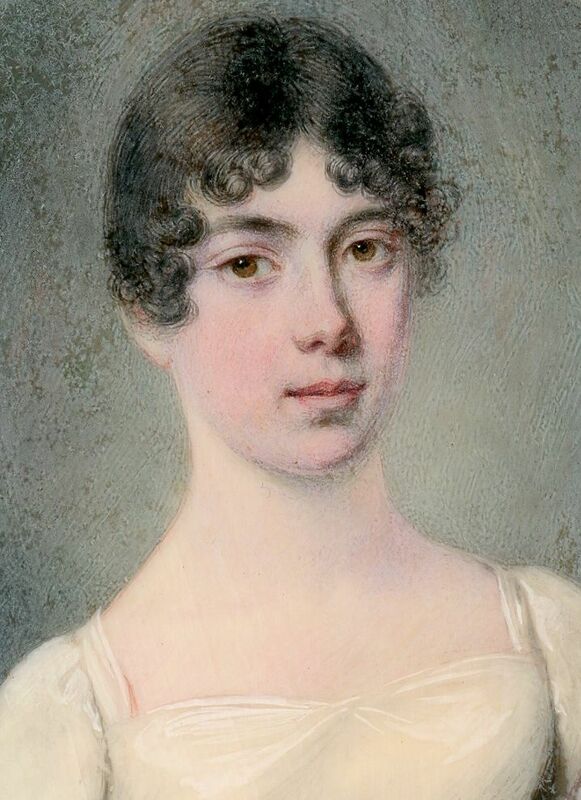 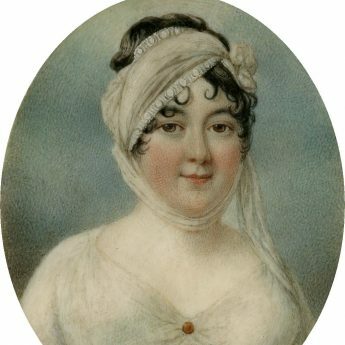 Sarah Reynolds, shown here with her hair fashionably curled around her face and wearing an empire-line dress with a lilac wrap round her arms, was the daughter of William Reynolds and his wife Mary (née Lucas). 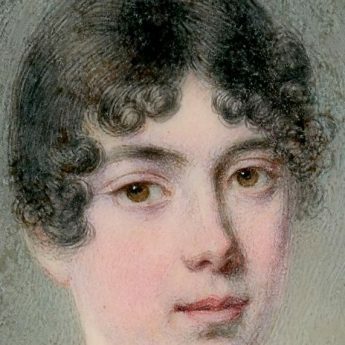 A portrait of her sister, Harriet, painted in the same year, also by Engleheart, resides in the collection of the Victoria & Albert Museum. 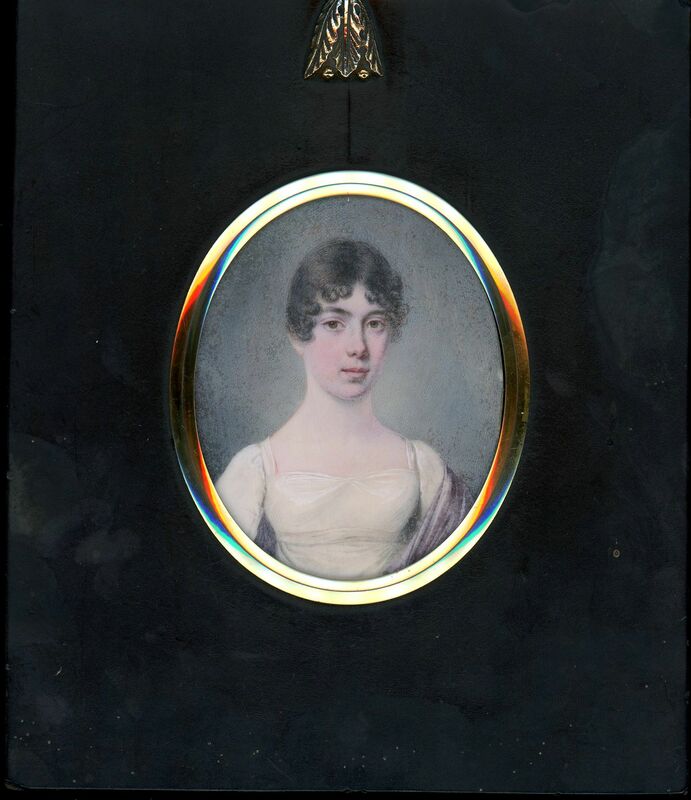 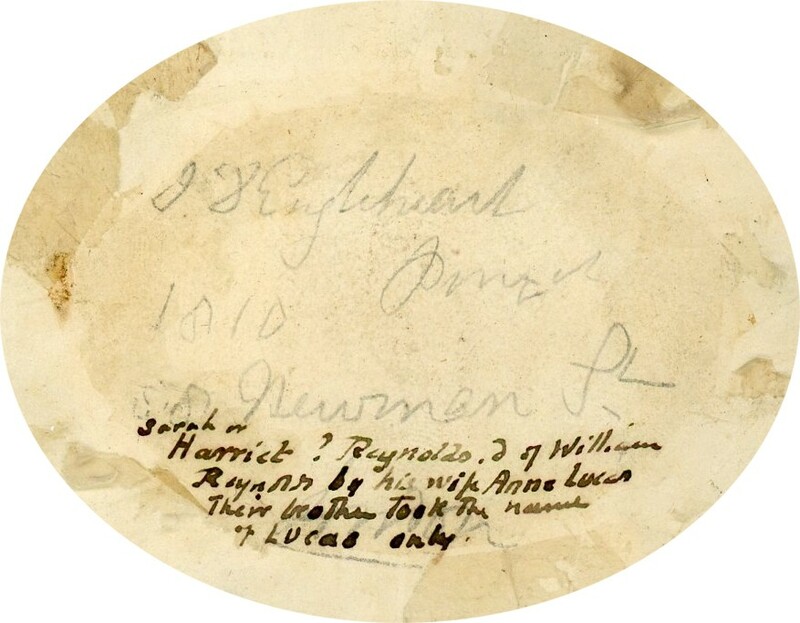 The portrait is signed on the reverse (now pasted to the backing paper) ‘J D Engleheart / 1810 Pinxt / 88 Newman St’ with biographical details added in a later hand. 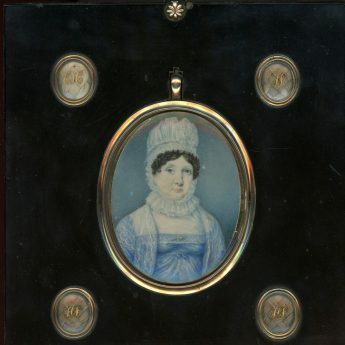 The portrait is set in what appears to be the original papier-mâché frame with an elongated leaf hanger. 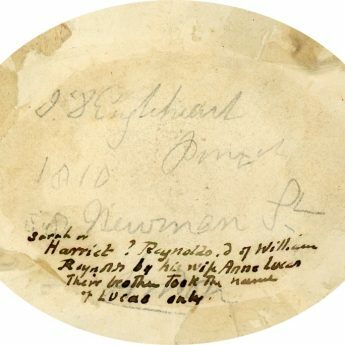 John Cox Dillman Engleheart was the nephew and pupil of George Engleheart. 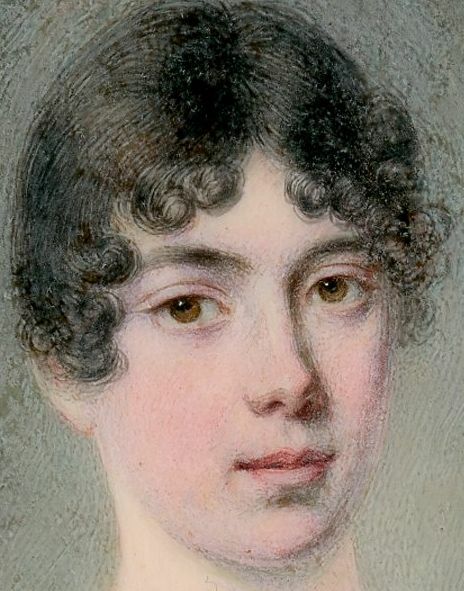 He exhibited at the Royal Academy between 1801 and 1828.